Pingel Enterprise, Inc. provides our customers CNC machining solutions. Our 50,000 sq. 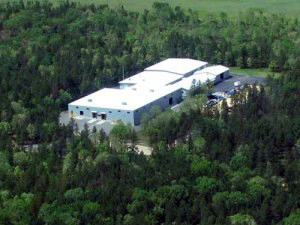 ft. manufacturing facility is located in the town of Adams, Central Wisconsin. We have been providing high-performance products to the motorcycle industry since 1967. Domestic and overseas competition in our own industry forced us to aggressively invest in new manufacturing technologies. In 2001 we expanded to include Pingel CNC Machining providing contract manufacturing services. Our customers range from the oil industry to avionics. Materials range from aluminum and plastics to 316 stainless steel. We are set up to run one to several thousand pieces and able to produce prototype to production runs with the highest quality and quick turnaround. We are capable of producing precision components (tolerances of +/-.0002) using CNC Swiss style and CNC multi axis lathes as well as multiple CNC mills. All our lathes are equipped with live tooling to eliminate secondary work and provide a more consistent, quality part. They are also interfaced with magazine bar feeders, this allows one operator to monitor several machines. This helps keep our shop rate low and reduces piece part price to customers. Our quality is maintained utilizing state of the art equipment (all Mitutoyo brands) including a comparator, surface tester, height stands, digital hand held gages, etc. For repeat jobs, we store all programs and quality documents in our DNC system. This assures repeatability on every order. For customers requiring special finishes, we offer a tumbled finish (utilizing plastic media or corn cob) to highly polished finishes for cosmetic purposes. This investment has not only allowed us to manufacture our parts more efficiently, but has created excess capacity to manufacture products for other industries. Pingel CNC is positioned to bring your products to market in record time as cost effectively as possible while maintaining an exceptional level of quality. We invite you to learn more about our company and appreciate the opportunity to earn your business. Please view our Motorcycle Performance catalog online at www.pingelonline.com to see more of our quality work.